To improve on our service offerings, we have planned a few novelties for weddings in 2015. 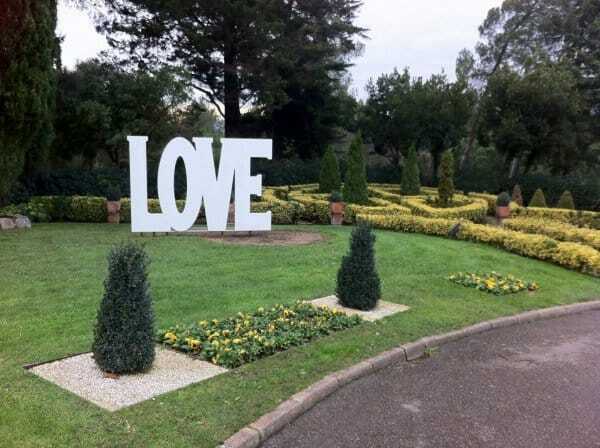 Today we are revealing some of them… The first novelty: the letters L O V E will welcome the wedding couple and their guests on the access ramp to the manor house; they will look great in your guests’ snapshots. Another surprising feature will be the colour LEDs we have added to the chandeliers in the dining rooms. These LEDs will add a magical, modern touch to the dining rooms during the dance party. And finally, an outstanding novelty: We have installed new displays in the dining rooms that will show music videos for the songs played at the dance party. Visit our social network pages, soon we will post pictures of these new features.